Nowadays, going for heavily embossed and embellished wedding invitations seems to be an impractical gesture, and an uncreative one, as well. For truly unique pieces, engaged couples are now looking towards pop culture references and personal preferences instead of following traditional wedding invitation designs. Below are some of the most creative wedding invitation concepts we’ve seen in recent years. From box-office hits to classics, films and tv shows are never-ending sources of inspiration for your own blockbuster wedding. Couples can use famous movie and TV posters to build their invitations on. 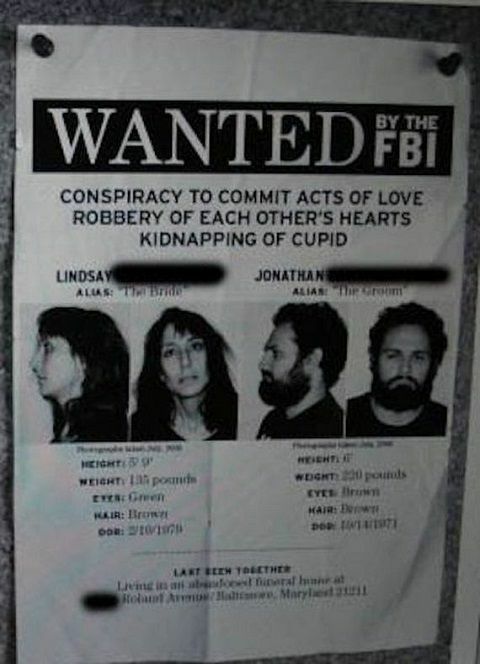 The spin-off becomes fun simply by posing as the cast, or using the same fonts for the details of the wedding. 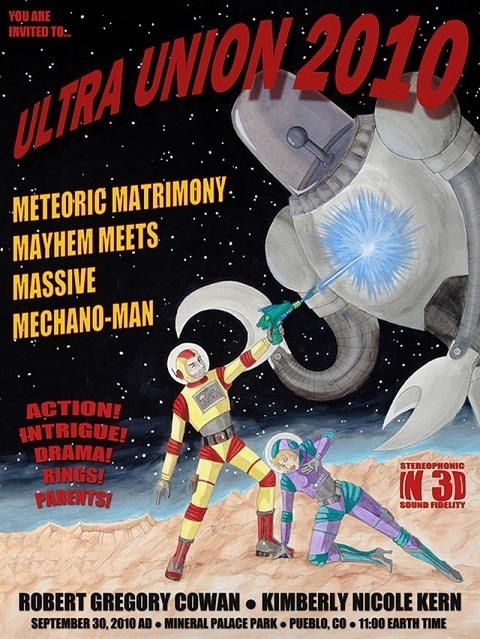 Inspiration can also come in the form of pop-up invitations bearing 3D images of popular movie/TV personality and objects, as well as integrating symbols, quotable quotes, and characters in the invitation itself. 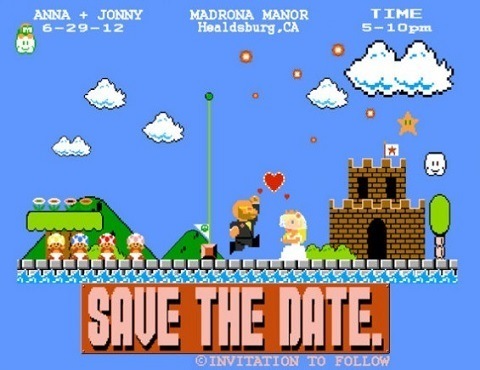 Geeky engaged couples can use their favorite video game characters to spice up their wedding invitations (Mr and Mrs Pacman, anyone?). Video game graphics make interesting designs instead of the staid, dull, ribbon-bedecked cards we have so gotten used to, but which sorely lack personality. An infographic is an awesome way to tell your story as a couple without being boring. You can choose drawings, captions, bullet points, images, and just about anything to let the narrative unfold! You can also use an infographic to help people get to the wedding and reception venues, and to let them know of the other details of the nuptial ceremony. You and your future spouse can easily become your favorite hero and heroine from that book or comics you love. You can get a talented artist to draw you on the “cover” of a comic book, or you can have yourselves sketched as a couple along with some text from your favorite publication. The possibilities are endless. 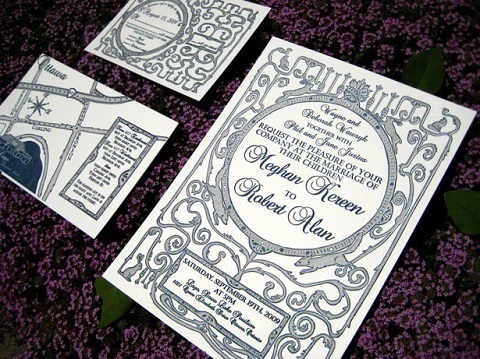 Vintage-themed weddings need to start with the invitations, of course. You can have some pre-nuptial shots as a couple wearing clothes from a bygone era, or use famous posters and ads from the past as inspiration for your own wedding invitation. 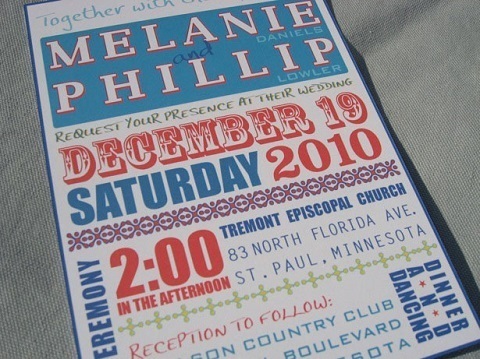 Circus or concert posters, car shows and agricultural fairs, and even flea markets and bingo meets can become references for creative wedding invitations. If you’re having a big, everyone-is-invited-type wedding, this is the way to go. Integrate details of these posters and community calendar announcements into your invitation for a truly welcoming touch. Everybody loves a happy couple, and you can emphasize this with your unique wedding invitation (and sense of humor!). You can use a funny pre-nuptial photo of yourselves in the invitation, or create a comic strip chronicling your life as a couple. Always remember to keep to the tasteful side of humor and to avoid potentially embarrassing or offending anyone. 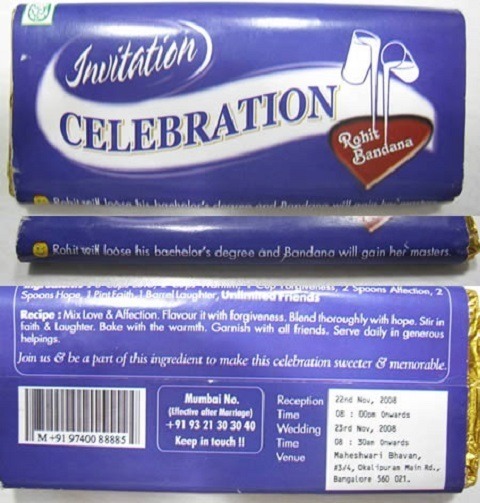 There’s a way to make people get excited to open your wedding invitation…by packaging it in an interesting way. You can use chocolate bar or chips wrapping, or seal it inside an aluminum can. There are hundreds of ways to present your invitations to build anticipation, so use your imagination!